Do you care about our community’s future but don’t know how you can make a difference? 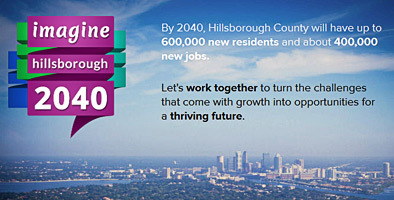 We make it easy to help design Hillsborough’s ideal future. We’re inviting anyone who lives, works, or plays in Hillsborough County to use an online game-style survey designed to interactively rate and comment on a variety of strategies to best meet our needs today and into the future. Visit Imagine2040.org any time before October 20. Another way easy way to get involved is to schedule a presentation. We’ll be happy to bring Imagine 2040 to you. Simply contact us at planhillsborough@plancom.org or 813-272-5940 and we’ll arrange a presentation for your group or organization. Our Imagine 2040 “road show” runs only through October 20th, so don’t delay if you’re thinking about a presentation. Or host a “Meeting in a Box.” Community groups, neighborhood associations, co-workers, or friends can meet on their own to share opinions about the future of our community.  We provide the materials and you run the event, gather input, and send the results back to us. The “Meeting in a Box” kit has everything needed to hold your own 30-minute discussion including instructions, discussion questions, worksheets for participant responses, the Imagine 2040 paper-based survey, and directions for recording and returning responses. If you don’t have access to a computer or the Internet, visit a nearby kiosk. We have several Imagine 2040 Kiosks on tour throughout the county for you to take the interactive survey to show us how and where you think we should grow. For the complete listing of Imagine 2040 Kiosk locations and dates, visit Imagine2040.org or call 813-272-5940.  The vision you help design now will guide the plans that are the road map to the future: the 2040 Transportation Plan and the four 2040 Comprehensive Plans for Tampa, Temple Terrace, Plant City and Hillsborough County. Contact Rich Clarendon at clarendonr@plancom.org or 813-273-3774 x 368 for more information.